The Smackdown Brand exclusive pay-per-view No Mercy 2016 is this sunday on October 9 2016 at Golden 1 Center in Sacramento, California which features some greatly booked matches and storylines The Main Event on the show will be the Triple Threat for WWE World Heavyweight Championship between The Phenomenal Champ AJ Styles, Johncena and Dean Ambrose. In This Post I will be Predicting The Winners, The Losers, The Standouts and The Fallouts featured on this NO Mercy Pay-Per-View. The All American American Jack Swagger will take on The Lone Wolf Baron Corbin in a simple one-on-one match This Match is Scheduled for The KickOff Show before No Mercy and Now We can Classify Baron Corbin as the Kickoff Matches Guy Because since Wrestlemania this Guy is wrestling on The Kickoff's of the PPV's last Month Baron Corbin defeated Kalisto at Backlash KickOff show and before that he was feuding with some other lower midcarders to perform at The Kickoff Matches. 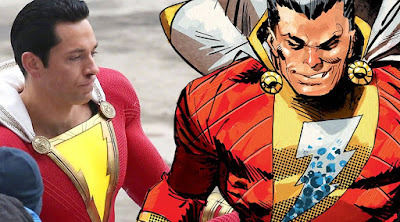 His Character Needs to Step Up Now come on ! corbin aim for the Main Card atleast. His Opponent is a former World Champion Jack Swagger who is drafted to Smackdown Live this last month after his contract was over with Monday Night RAW("thats what WWE Creative told the audience") in my opinion if WWE is looking to push Jack Swagger than i think Swagger should win this match. 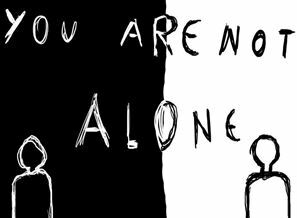 * Curt Hawkins Vs An Opponent TBA??? Curt Hawkins is the Latest Signee to the Smackdown Live Brand and We Haven't seen him wrestling any match over at Smackdown on Tuesday Nights All We Have seen is his Weird Promos which are pointing out his new Gimmick anyway it will be interesting to see him back in WWE Ring wrestling against a n opponent yet to be Announced. This Match was suppose to happen at Backlash ppv but Unfortunately The Viper Randy Orton suffered a mild Concussion that week but he still showed up at Backlash and did something against Bray. 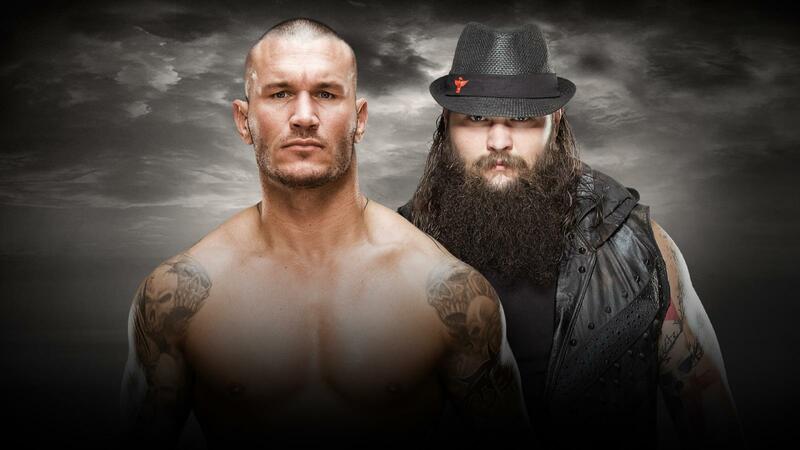 This Looks like to me as a long term storyline Development between these two and in my opinion Randy Orton will emerge as the Winner from this match. This Past Week Luke Harper returned at a WWE Live Event so, may be this storyline could end up at Survivor Series in Traditional Teams Matchup. 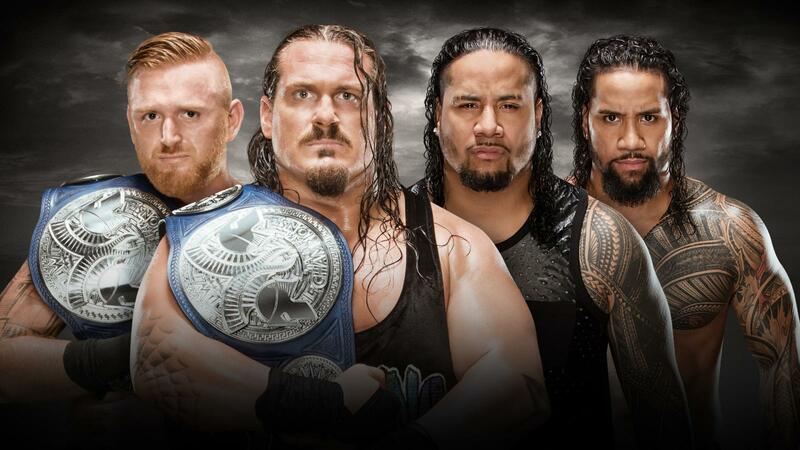 The First Ever Smackdown Tag Champions of The New Era Heath Slater and Rhyno are looking like that they will drop the Titles to The Heel Usos this sunday because Now the Heath Slater Contract angle is over than it seems like WWE will move to Heel Champions on their Smackdown Brand and Usos New Attitude will be great to carry these Tag Championships around their waist. PREDICTION: New Smackdown Tag Team Champions The Usos. This Rivalry Between Fabulous Carmella and Fearless Nikki is Heated and Interesting Because These Two are feuding with each other since Nikki Bella made her return on Smackdown Live and Carmella always gotten over Nikki by attacking her but this time at No Mercy I Think Nikki Bella will teach the Perfect Lesson to Carmella. PREDICTION: Nikki Bella Emerges as the Winner. This Match Best Describes the Name of this Pay-Per-View NO MERCY because if Dolph Ziggler loses he will leave the WWE and there are many Rumours and Specualtions Surrounding his WWE Career some fans are saying he is leaving WWE after this ppv but i'm thinking all of it in a positive way because DZ is one of favourite Wrestlers in WWE and i really do not want him to leave. 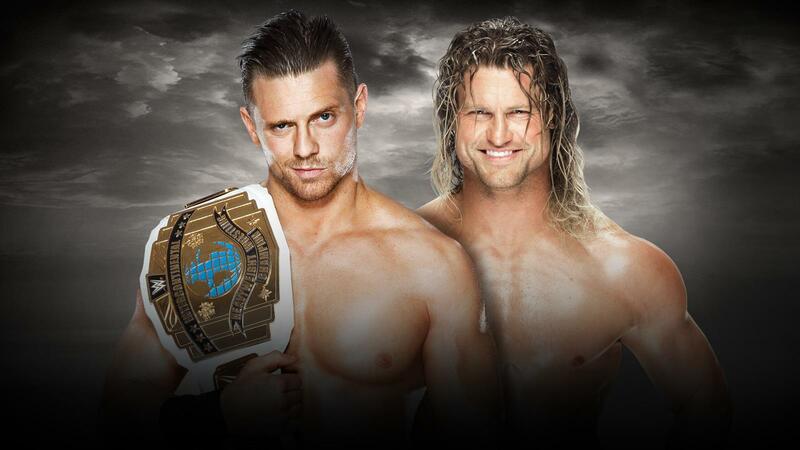 On The Other side Miz is presenting some of his best works in WWE after a good ole time in my opinion he is moving upwards for the Big Gold which is the World Championship after loosing his IC Title to Dolph this sunday at No Mercy. PREDICTION: New WWE Intercontinental Champion Dolph Ziggler. Alexa Bliss has done some impressive work since she has moved to the Main Roster On Smackdown First her new look as Harley Quinn of Suicide Squad suits her and her In-Ring work is really appreciable too and its Good To See her in Championship feud. 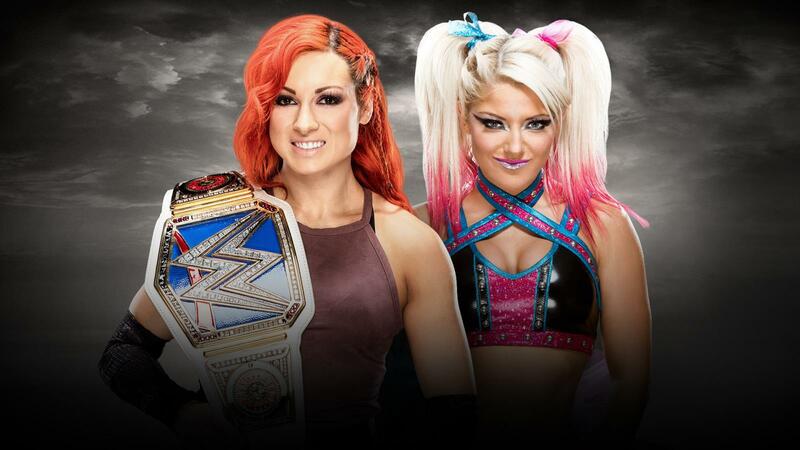 The Redhead Womens Champion Becky Lynch is doing fine i don't want her to loose this match. AJ Styles is the Best Thing Happen to WWE In Years he is the WWE World Champion what's better than that Dream of Every Fan Came true when AJ Became the Champion Last Month After Defeating Lunatic Fringe Dean Ambrose. 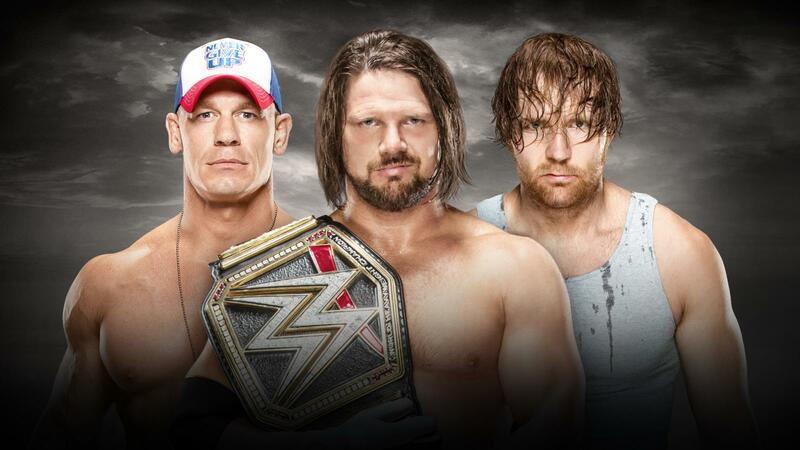 This Triple Threat Match hasn't been happen till now and It Have made it on My Top 5 List of Best Triple Threat Championship Matchups of All Time this match will be inevitable and Awesome at the Same Time. I am Counting On AJ to Retain The Championship. Let's See If Our Predictions Goes Right For WWE No Mercy 2016 This Sunday. Please Let Us Know What You Think About The WWE No Mercy 2016 and give Your Predictions and Thoughts In The Comments Section Below.